Thirteen years ago, rapper and racer Smudo made his debut with the worldwide first race car which had got a bodywork made of renewable raw materials. This project of the green pioneers is now celebrating another world premiere: The series-production of the lightweight components made of biofibre composites tested by Smudo and his racing team Four Motors has now started. The new Porsche 718 Cayman GT4 Clubsport is the first series-production race car with bodywork parts made of biofibre composite materials. In January, Porsche presented the new 718 Cayman GT4 Clubsport, the successor model of the current Four Motors Bioconcept-Car, in Daytona. In the focus of the attention: The new lightweight components made of biofibre composite materials. Doors and rear wing of the new 718 Cayman GT4 Clubsport are made of the biofibre mixture as standard. In 2006, Four Motors was the first racing team in the whole of Germany to be specialised in sustainability in motorsport and entered the first Bioconcept-Car with a biofibre bodywork. 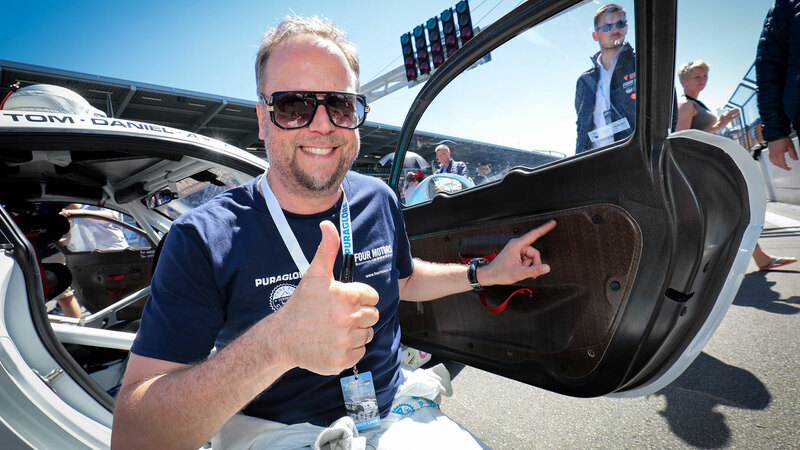 In 2016, Team Principle Thomas von Löwis managed for the first time to win a car manufacturer, which was Porsche, as partner of the project. 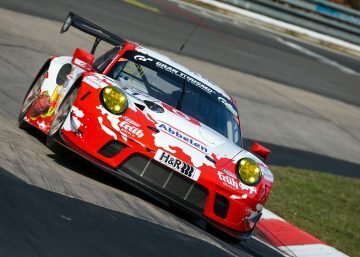 Amongst others on basis of the previous Bioconcept-Cars and the results on the race tracks, the engineers of Porsche Motorsport in Weissach and the fibre experts of the Fraunhofer Institute WKI Hannover have prepared the bio composite materials for series production within the last two years. The components made of plant fibres are not only similarly light as their equivalent of carbon, they are also outstanding due to their positive product properties: A favourable splinter behaviour under crash load, a good acoustic damping and an almost residue-free thermal recycling. Last but not least, considerably less energy is used in the production of plant fibres compared to carbon fibres, and this offers a CO2 balance which is about 75% better. 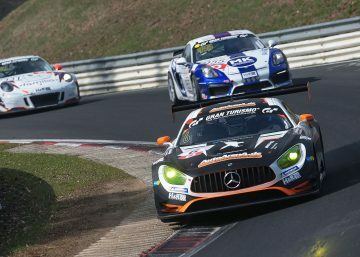 In addition to the bio composite materials, Smudo, Thomas von Löwis and their team also put re-refined engine and gearbox oils as well as E20 biofuel through the demanding endurance test at the Nürburgring long-distances races. 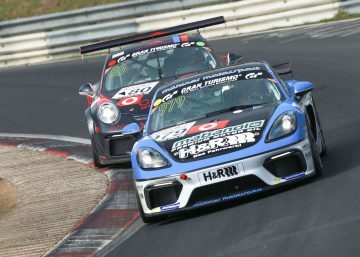 One kilometre at the Nordschleife is equivalent to about 20 kilometres road tests. “We demonstrate in the Green Hell that sustainable mobility and driving pleasure are not mutually exclusive. And the best thing of all is that the biotechnologies make our car doing even better”, explains Smudo. The results flow into the further development of the sustainable technologies. From its very beginning, the project “Bioconcept-Car” was accompanied and promoted by the Federal Ministry of Food and Agriculture through the “Fachagentur Nachwachsende Rohstoffe” (FNR – the central coordinating agency in the area of renewable resources in Germany). 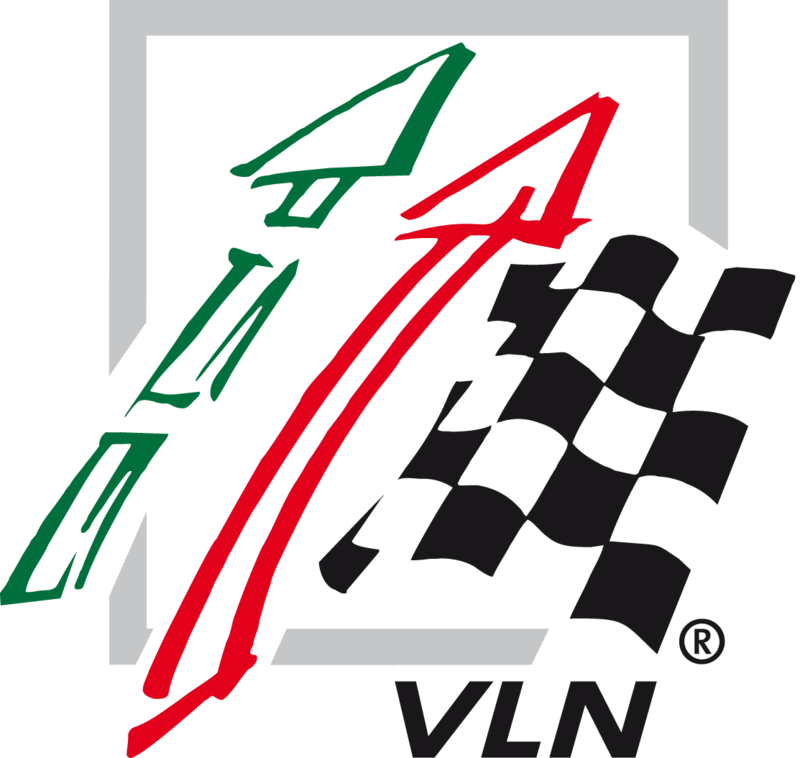 The objective is not just to use renewable resources effectively in racing but also to promote the development of environmentally-friendly cars and to provide some input to reflection. “This shows that technologies can be tested in racing which will then go in series-production for millions of people,” says the responsible Minister of Agriculture Julia Klöckner regarding the project.